New Delhi, Nov 9: Describing Demonetisation as ‘the biggest scam of the country’ which broke the back of farmers, youth, women and small businessmen while serving as a means for huge corporates to convert their Black money into white, the Congress on Friday said that people of the country would give a befitting reply to the BJP in the coming assembly elections to the five states and the 2019 Lok Sabha elections. 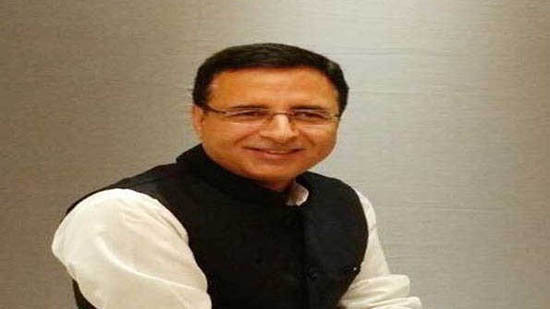 In a statement issued on the second anniversary of the announcement of demonetisation by Prime Minister Narendra Modi, AICC media incharge Randeep Surjewala said that it was time to seek accountability from Prime Minister Narendra Modi, Madhya Pradesh cheif Minister Shivraj Singh Chauhan and the BJP. ‘On the second anniversary of demonetization, whether it is Prime Minister Narendra Modi, Madhya Pradeh Chief Minister Shivraj Singh Chauhan or BJP governments, the time has come to ask for answers from them,’Mr Surjewala said and posed several questions top the PM and the BJP . ‘While announcing demonetisation, the PM had described it as a harbinger of an economic revolution and gave three objectives for announcing the measure- seizure of all black money, removal of all fake currency and putting end to terrorism and naxalism. Where did all ‘black money’ went? According to the RBI report of August 24, 2018, during days of demonetisation, out of 15.44 lakh crore notes in circulation, 15.31 lakh crore notes were deposited in banks, that is 99.9 percent. The remaining money is also deposited in the Royal Bank of Nepal and Bhutan and as a case property in the courts. Then where has the black money gone?’ Congress leader Randeep Surjewala said. ‘Where are the fake notes” Or was it also another ‘jumla’? According to the RBI report of 2017-18, of the 15.44 lakh crore worth of demonetised currency notes, only 58.30 crore, i.e, only .0034 per cent, turned out to be fake notes. So will the BJP tell the nation where did all the fake notes go?,’he asked. Referring to several terrorist incients and naxal attacks after demonetisation, he asked whether the terrorism and naxalism had come to an end. Referring to the RBI statement of 2016-17 and 2018-19 that 30, 303 cr was spent in printing new curency notes , he wondered whether the cost of printinmg and distributing new currency notes was 300 per cent more than the davings from demonetisation. \\\\’In September, 2016, a total amount of Rs 5,88,600 crore was deposited in banks just before demonetisation. was there a probe on BJP president Amit Shah and BJP leaders after an amount of Rs 745.58 crore in old currency notes were deposited in the 5 days from November 10 to November 14, 2016 in the Ahmadabad district-operative bank The director of the bank is the BJP president Amit Shah, who has been the chairman of the bank earlier,’he asked.